Mumbai, 28 November 2018: Keeping in line with SAMCO’s tradition of excellence and innovations, SAMCO Securities is pleased to announce the introduction of RankMF, which will revolutionize the selection of mutual fund schemes with its proprietary ratings and rankings system that will help investors know “kaunsa mutual fund sahi hai”. There are thousands of mutual fund schemes “Par Kaunsa Mutual Fund Sahih hai”? RankMF’s innovative offering is a first-of-its-kind service in India that will empower millions of investors who are seeking accurate research. 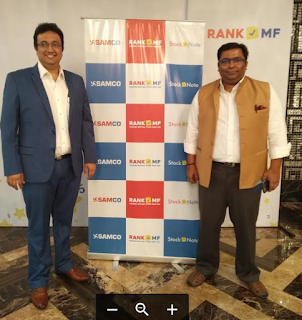 RankMF rates and ranks all mutual fund schemes so that none of the options “SAHI” for them are missed out. RankMF does not limit itself to outdated ranking methodologies used by the existing mutual fund ranking platforms. Introducing the RankMF SmartSIP TM : SIP is not systematic or smart investing, it's simply automated investing, Starting a mutual fund SIP and continuing to invest in it at all times through market ups and down has nothing to do with systematic investing. SIP is NOT a smart system. The RankMF SmartSIP TM System solves this problem. Based on the margin of safety in the markets, RankMF generates signals which you should follow for your SIPs. What are these signals and what do they mean?